Researchers at Agriculture Canada are trying to learn more about native wasps on P.E.I. that devour cabbage-eating moths. The diamondback moth is native to Europe, but has been a problem for farmers in eastern Canada since late in the 19th century. It doesn't overwinter on P.E.I., but can blow onto the Island in the spring in large enough numbers to be a serious pest. 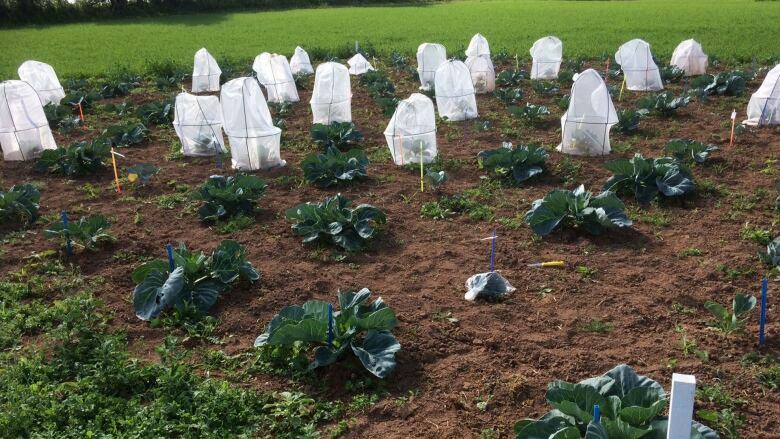 The diamondback can feed on broccoli, kale and canola, but is a particular issue for cabbage farmers, because it doesn't have to destroy the plant to cause issues. 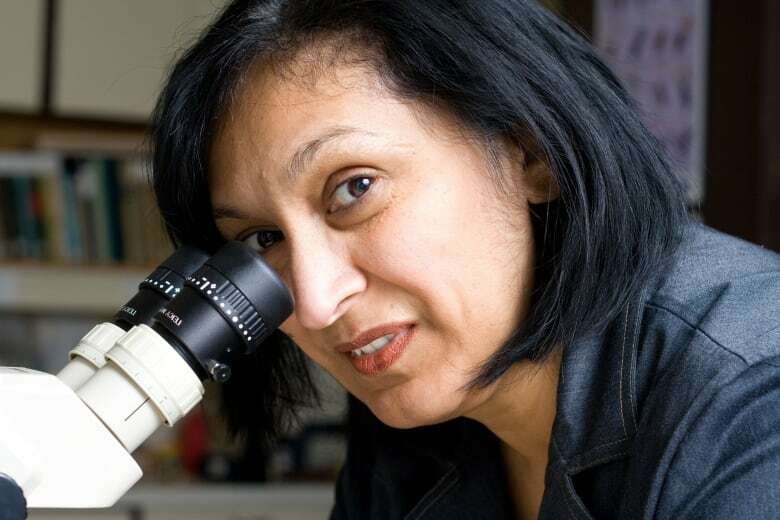 "It just makes these holes," said Christine Noronha, an entomologist with Agriculture Canada on P.E.I. "Nobody wants cabbage leaves that have holes in them." The moth is difficult to control, because it has become resistant to many pesticides, so Agriculture Canada is researching the lifestyle of parasitic wasps, and it has found four species on the Island that feed on the diamondback. The wasps are tiny and harmless to humans, but deadly to the diamondback moth. They lay their eggs in the moth larvae. When the wasp larvae hatch they eat the caterpillar, and instead of moth emerging from the cocoon, a wasp does. 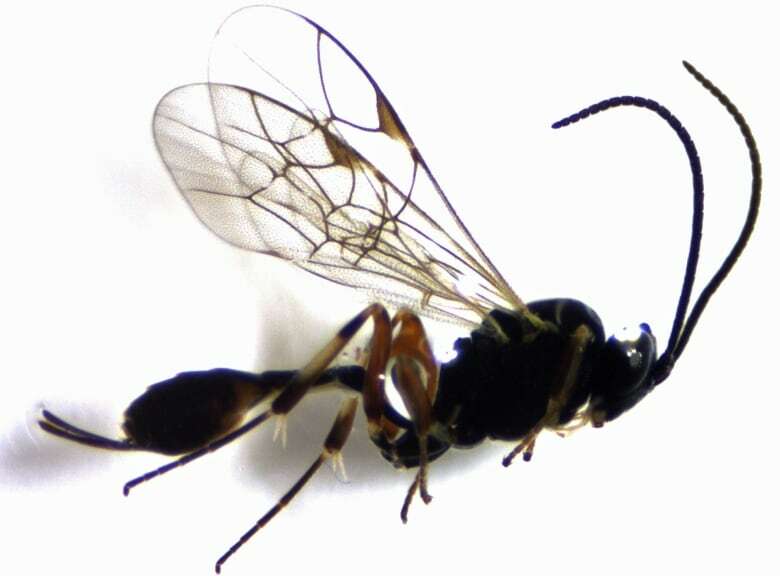 Similar parasitic wasps have been found in other parts of Canada, and Noronha was pleased to find them on the Island as well. "That was good news for us, to see first of all to see that they are here," she said. "Second that they are widespread and they were actually coming out of these moths. And large numbers were coming out. It wasn't just one or two; we had quite a big population." Now that the wasps have been identified, Noronha is studying their habitat, so she can figure out ways to grow the population. 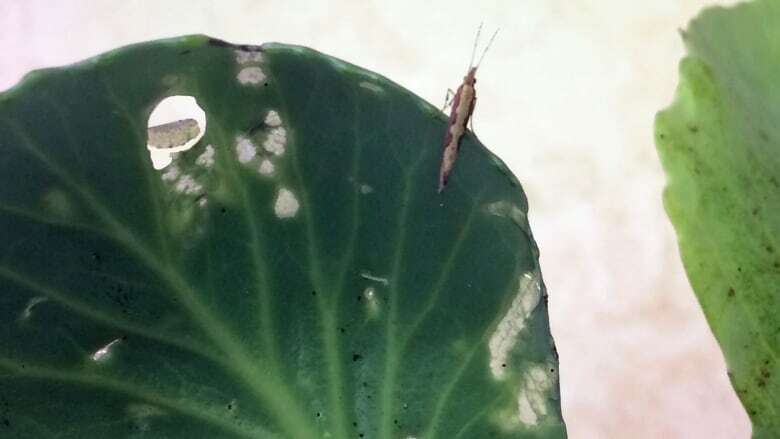 "What areas would they actually live in so we can have a conservation area, and they can move into the field and attack the moth when the moth comes in on the wind," said Noronha. Learning how to control moths this way will be a long process, said Noronha, and it could be three to five years before farmers start to see results. MORE P.E.I. NEWS | 140-year-old school getting new life on P.E.I.